Technology is forever progressing and the technology managing comfort systems has gone through major transformation. HVAC and building automation systems now take and analyse huge amounts of sensor data to run systems more efficiently and can provide a more comfortable environment. The recent developments in Internet of Things (IoT) enable a lot of new capabilities that make these systems even better. These capabilities include improved fault detection and diagnostics, asset management, maintenance and enterprise integration. For example, all the various building technologies such as HVAC, lighting, security etc. are now converging, which in turn means larger data which needs to be stored and managed. “IoT provides just the thing for handling such huge amounts of data via Cloud. This data can be assessed with the help of various tools whereby we can optimise energy usage of any building or manufacturing unit,” explains Gaurav Mathur, Head – Business Development (BS), Grundfos India. While the previous systems also functioned well, they had no or lesser communication capability between each of their components which resulted in making the entire process extremely complicated. However, now with IoT this has completely taken 360-degree turn. “The seamless communication between each and every component is helping the system react to the changing environment more effectively and efficiently,” Mathur observes. HVAC and building automation systems have been taking and analysing sensor data to run systems more efficiently and provide more comfortable environments for many decades now. However, recent developments in IoT technologies are enabling a lot of new capabilities that make comfort systems even better. 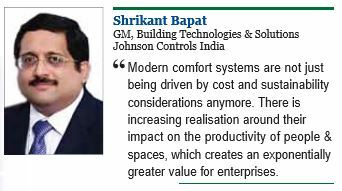 According to Shrikant Bapat, General Manager, Building Technologies & Solutions, Johnson Controls India, these new advances include increased affordability of edge computing, the miniaturisation of processing units, inexpensive and massive scale Cloud storage, and increasing communication bandwidth through protocols like NarrowBand IoT or 5G.  Firstly, embedded computing and communication with edge devices are allowing more intelligence and local controls for HVAC devices and systems. Previously, due to constraints of bandwidth and computing power, all information and decisionmaking had to flow through hierarchical network structures, making the process less adaptable, less responsive and more complicated to manage.  Secondly, like a lot of technology platforms these days, comfort systems are looking skywards. Cloud and edge technologies, coupled with machine learning and artificial intelligence, is enabling better automation and management of comfort systems. Building automation and energy management systems have been around for some time. But now, various building technologies such as HVAC, lighting, security and more are converging. This allows new insights to be derived from a combination of different data sources. 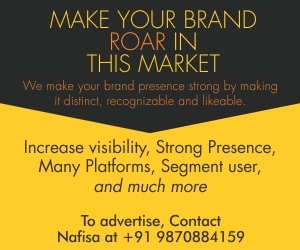  Finally, customers now expect customised solutions. “Off-thepeg” will simply not cut it in many areas now. To accommodate this, comfort systems can now be more finely personalised, and occupants can interactively engage with them. This is enabled by an increased proliferation of Mobile technologies and immersive experience delivery mechanisms such as augmented reality (AR), virtual reality (VR), and natural language capabilities. Occupants can now feel more in control of their environments, while comfort system maintenance professionals can now prioritise the most important issues to solve them faster. “Modern comfort systems are not just being driven by cost and sustainability considerations anymore. There is increasing realisation around their impact on the productivity of people and spaces, which creates an exponentially greater value for enterprises,” summarises Bapat. IoT makes the devices communicate with other devices on real time basis and provides feedback on real time basis. It makes the system to adjusts and the user feels more comfortable. An example of a smart device is when the user says, “I am feeling cold” and the system recognises and increase the set temperature to make the user comfortable. Yozo Ito, Director & Business Unit Head, Air conditioners, Mitsubishi Electric India Pvt Ltd defines a smart comfort system as: A device that helps in recognising the users body temperature by using thermal image devices and adjusting the temperature before the user gives intervenes for temperature correction. He said, “An AI based smart device is one that analyses the position of hands or legs to find the comfortability of body (human being like to keep the hands and legs closer to body when they feel cold and vice versa), check ambient temperature, scan the room in every minute to identify the heat source (cold source) which is affecting the current room temperature and then adjust the capacity of the system, change the direction of air flow to contain the heat source or cold source before it reaches the occupant. It tends to create enough air movement around the occupant to provide a comfortable feeling and adjust the set temperature in accordance with ambient temperature.” Therefore, a smart comfort system enhances the adaptive cooling capability of human body. Mitsubishi Electric has introduced the “mirA.I.” air conditioners which is fit and forget type air conditioners with AI powered systems. These units can heat and cool, adjust capacity, can measure human body temperature, feeling of temperature in human body by movement of body parts, identify the heat or cold source, create natural wind movements around occupants etc.  Interaction with the system, if any, is now enabled through the Smartphone in our pockets, with an effective graphic interface. We can adjust the working conditions, due to an unexpected change in our routine, by simply sending a new command, even remotely. The function is enabled by the new smart thermostat, connected via to our standard home Internet connection.  System maintenance, even in the event of an equipment failure, can be managed proactively by the installer. Emergency calls due to a cold shower in winter or a hot temperature inside the home in the summer are no longer necessary, as the information is automatically shared by the system via the Internet. Through remote monitoring of working conditions, new maintenance contracts can guarantee that problems are identified and fixed before even one realises there is an issue.  Furthermore, a connected system can use external information to adjust working conditions and increase performance of the equipment. Weather conditions can be used to adapting control based on outside temperature; the cost of electricity, especially in the case of large buildings, such as in commercial applications, can be used as the basis for scheduling operation so as reduce energy bills. These levels in turn influence and guide individual elements within the heating and cooling systems in terms of temperature levels, fan speeds, compressor speeds and air flow direction. This in turn leads to lower energy bills and improved energy efficiency while compared to traditional or conventional HVAC systems. 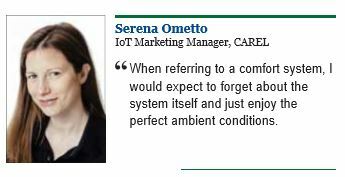 On the other hand, Serena Ometto of CAREL opines that the advantages of IoT-enabled systems are not only focused on the end user. “All of the system stakeholders can use the shared information for different purposes. Maintenance personnel and installers can lower their business costs by reducing unnecessary site visits through remote diagnosis. Equipment manufacturers can increase system quality by analysing the actual behaviour of units in the field,” she said. 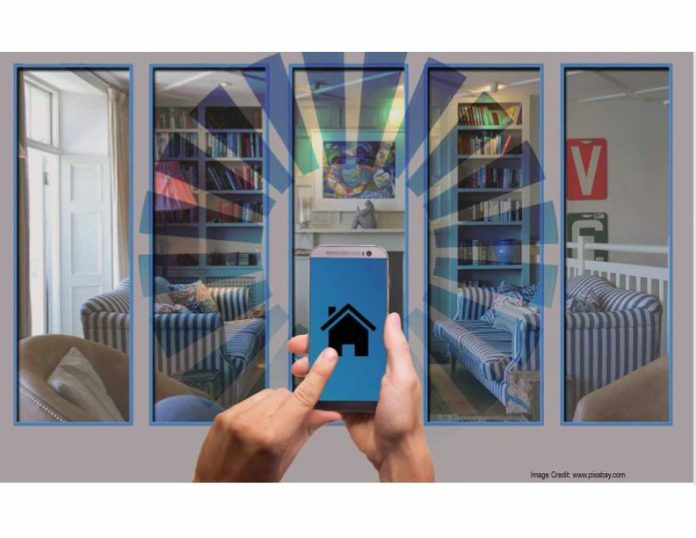 Yozo Ito of Mitsubishi Electric India states that IoT-enabled devices saves more energy and give better comfort for occupants on real time basis. “Traditional systems are electro-mechanical devices with pre-defined settings with limited adjustment by the user and used to control functions independently. IoT enabled devices can constantly change as per the input received from various other connected devices and collectively increase the comfortability to user. Comfortability of winter and summer conditions are different for human body and an IoT device with ambient temperature sensor will able to maintain different temperatures and air flow patterns based on the ambient conditions,” he avers. IoT involves machine-to-machine communications and Shrikant Bapat at Johnson Controls India claims that his company has been connecting systems and products to provide analytics to its customers for decades. Johnson Controls has developed Smart Connected Chillers, large air conditioning units used to cool buildings that range from hospitals to universities to commercial buildings. Technicians use data analytics from the Smart Connected Chiller to keep buildings running efficiently and to maintain a continuously comfortable environment. Here’s how they work: Johnson Controls collects data from the chillers, stores it on its platform in the Cloud and accesses it via an application used by internal service technicians. With this app, they can evaluate the condition of the chillers and receive alerts to identify and solve potential problems with the units. The company has recently launched a customer-facing portal so that they also can analyse data to better understand how their chillers are performing.